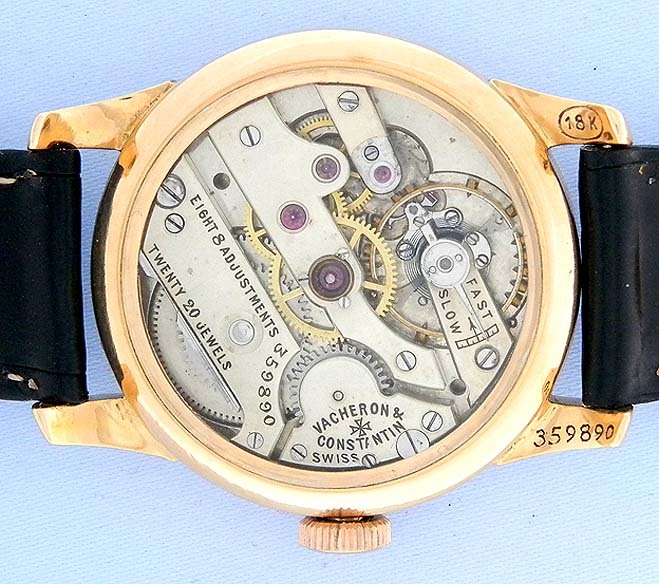 Unusual vintage Vacheron and Constantin movement in a custom made 18K gold case with a beautiful new gold cloisonne hard enamel dial. 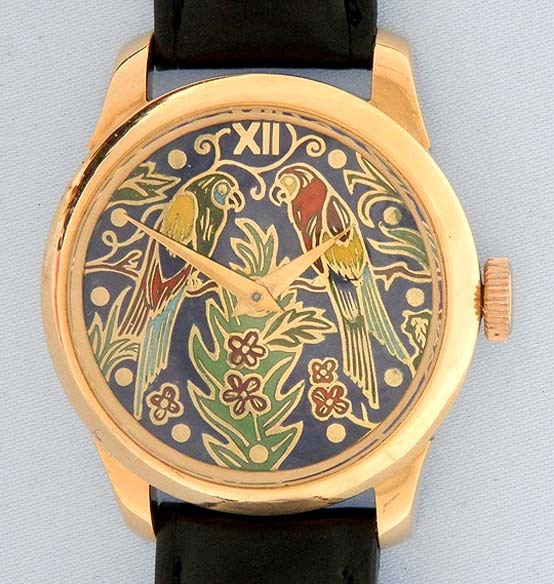 The dial with parrots and foliage. Substantial case with exhibition back. The strap with 18K gold buckle. Fine nickel 20 jewel 8 adjustment movement. Handsome.